Look out, Megabus. There's a new player in town. Starting Friday, OurBus is offering rides from Philadelphia to Washington, D.C., giving travelers another alternative to a pricey Amtrak ticket or driving in Beltway traffic. 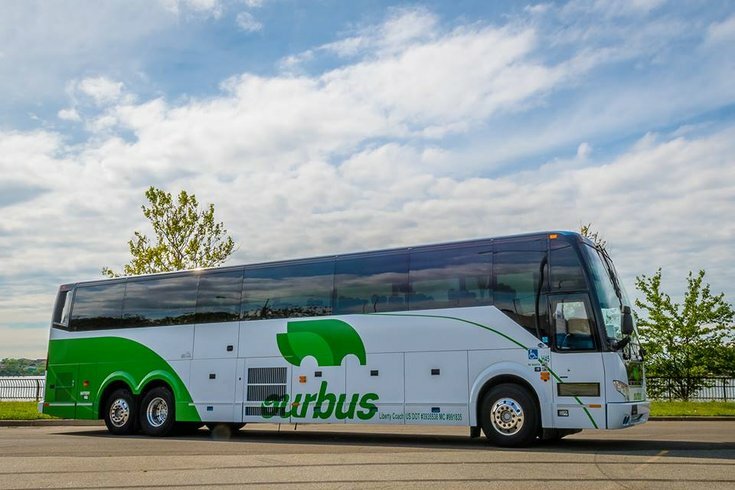 OurBus, founded in 2016, bills itself not as a transportation company, but as a tech company that partners with charter bus companies to offer "efficient, mobile-based" rides. Customers can buy tickets and track their buses on the company’s app. For now, OurBus is offering competitive prices, with one-way fares on the Philly to D.C. route starting at $16. Right now, if you wanted to book a trip from Philly to D.C. for late Friday morning and come back Sunday afternoon, your total cost on Megabus would be around $60, while your OurBus fare would be $32. As of now, the service is only available Friday through Sunday. Passengers on the route get picked up in Philly at 3802 Ludlow St. and get dropped off in D.C. at Union Station. Stouts Transportation, a Trenton-based charter bus company, provides the vehicles for the ride. OurBus offers a stop in Columbia, Maryland, along the route from Philly to D.C. The company already offers rides to New York City from Fort Washington, Malvern, West Chester and King of Prussia. OurBus has a membership program for frequent travelers that costs $79.99 up front but provides $9.99 tickets for the first 10 rides. The OurBus app can be downloaded on the Google and Apple app stores. Read more Transportation Business Philadelphia Bus Washington D.C.